When Microsoft launched the Xbox One in late 2013, the message to cord cutters was that they hardly mattered. We heard all about how the Xbox One was an all-in-one entertainment hub, combining video games, linear TV, and streaming video on a single device. But at the time, Microsoft’s definition of television didn’t include broadcast channels from an over-the-air antenna. If you didn’t have a traditional pay-TV service, tough luck. What a difference 18 months makes. 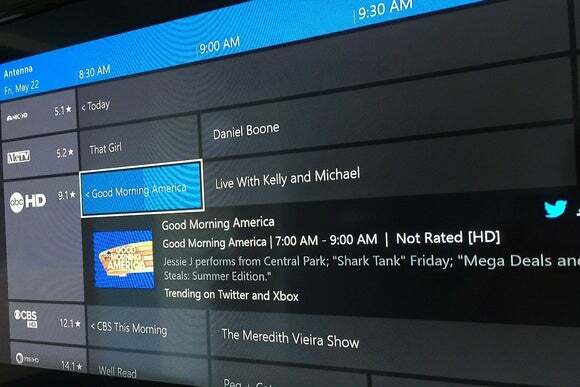 Last week, Microsoft released a $60 TV tuner for the Xbox One, letting users hook up an antenna for watching free, over-the-air channels such as ABC, CBS, NBC, and Fox through the console. 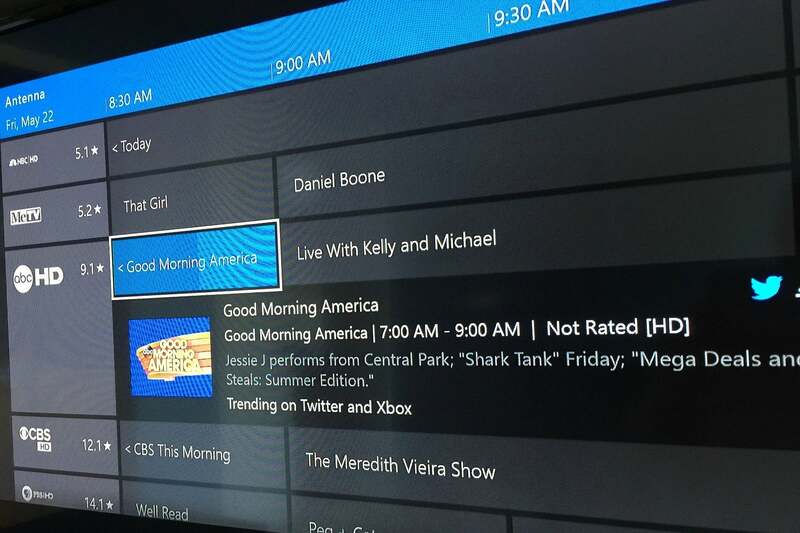 Antenna users get the same channel guide and time-shifting capabilities that cable-TV users do, along with one unique benefit: With Microsoft’s SmartGlass app, the Xbox One can stream live broadcast TV to iOS, Android, and Windows devices over Wi-Fi. I’ve been using one of these tuners, on loan from Microsoft, for about a month. It mostly works as expected, aside from a few minor nitpicks. If only it supported DVR (and perhaps had extra channel tuner), the Xbox One could actually become the all-in-one entertainment box that Microsoft has been promising for so long. The hardware itself is not fancy. Microsoft has basically slapped its name on an existing WinTV-HVR-955Q tuner from Hauppauge, put it in a green box, and chopped $20 off the sticker price. In fact, if you have the existing tuner, it should work just fine with the Xbox One. 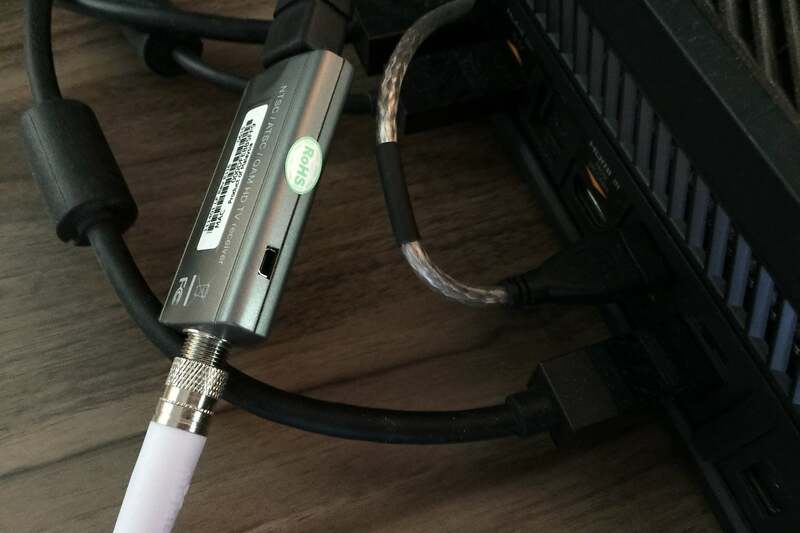 The console connects to the extension cable, which connects to the tuner, which connects to the antenna. Keep in mind that you can’t watch broadcast channels with the tuner alone. You’ll also need an antenna, which screws into coaxial input on the back of the tuner. How much you ought to spend on the antenna depends largely on your proximity to local broadcast towers, but Microsoft is bundling the tuner and a Mohu Leaf 50—one of the better antennas you can get—for $100. Instead of the rabbit ears you might remember from childhood, the Leaf is a flat, floppy slab that you can hang in a window or paint to match your walls. The hardware options don’t end there. If you have a Kinect sensor ($150 more than the console alone), you can change channels with voice commands. It feels like the future, but is not really necessary. 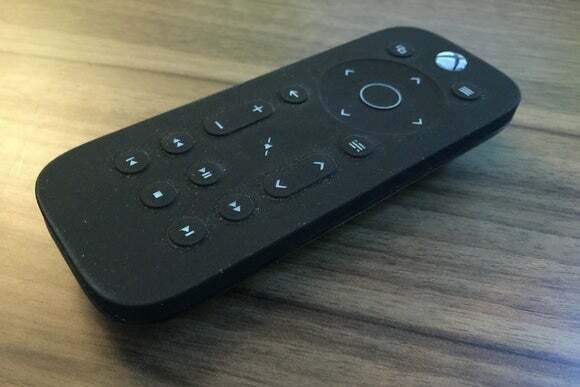 You can also pick up an Xbox Media Remote for $25, and while this lets you control TV volume without a separate remote, the lack of a number pad and a previous-channel button make it less useful than it ought to be. A set of cheap IR emitter cables will let you control the TV’s volume and power with the Xbox controller, and is worth considering. Volume controls are the $25 Xbox remote’s saving grace. Despite needing a few pieces of hardware to get started, the software pretty much sets itself up. Just choose “set up a TV tuner” in the Xbox One’s TV app, enter your zip code, and the console will scan for channels. You can also choose to allot 4GB of hard drive space for pausing and rewinding live TV, and set up your TV to control volume and power with Kinect voice commands. Once the setup is complete, watching over-the-air broadcasts feels sort of like watching a traditional pay-TV service. Pressing “X” brings up a grid-based OneGuide that shows up to 14 days of programming, and you can bring up a miniature version of the guide with the left stick. Over-the-air broadcasts seem a lot more inviting when you have a full channel guide. The Xbox One also offers some unique channel-surfing features. Through OneGuide, you can view both regular channel listings and content previews from streaming apps, and you can mark your favorites from each for viewing in a single list. Nitpick number two: There’s no way to create a watchlist or reminders for favorite shows or episodes. I also encountered some bugs with OneGuide, which periodically failed to launch with a button press. The channel guide and time-shifting are useful, but what really sets the Xbox One apart is its ability to stream live video through Microsoft’s SmartGlass app on phones, tablets, and Windows PCs. It’s as simple as opening the app, picking a channel, and hitting the stream button. In my experience, streaming worked remarkably well after a few seconds of buffering. Refresh rates aren’t as high as they are directly through the console, but this is a minor issue that’s mainly apparent with live sports. You’re not limited to one device, either; I had three streams running at once, and the only consequence is reduced video quality as your network and the console run out of resources. You can even play a game or use another app on the console while streaming live TV through SmartGlass. The Xbox One’s SmartGlass app lets you watch TV from anywhere around the house. 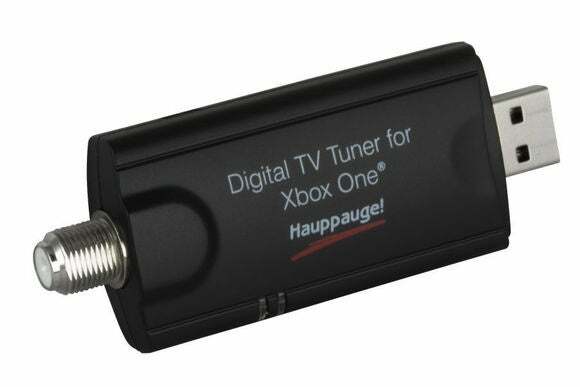 Streaming live TV does have one big limitation, however; because the Hauppauge tuner isn’t a dual tuner, you can’t watch separate channels on different devices. Changing the channel on the TV will change it on SmartGlass, and vice versa. The other major limitation with the Xbox One tuner is the lack of full DVR capabilities. 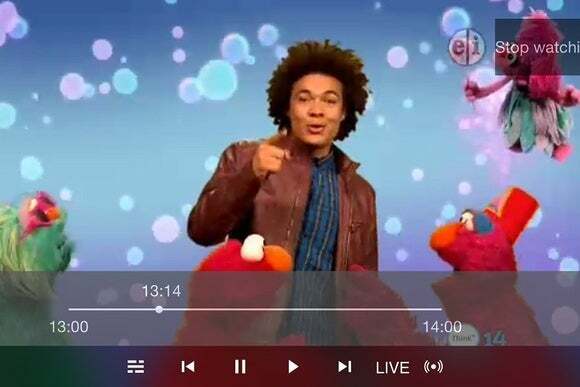 Although the console can record up to 30 minutes of live programming for pausing and rewinding, there’s no way to record entire shows for future viewing. Rumor has it that Microsoft will bring DVR to the Xbox One later this year, but even if that happens, the current tuner won’t be fully up to the task. Again, without a dual tuner, users won’t be able to record shows from one channel while watching another. That’s not to say the Xbox One tuner is worthless in its current state. If you watch a lot of live events, late-night TV, or anything else that isn’t available for immediate streaming, the console’s channel guide and time-shifting are fine enhancements. I can imagine the tuner will also be great for Football Sundays, with the game and fantasy sports scores displayed side-by-side using the console’s Snap feature. But if you want one antenna setup that does both live TV and DVR, for now that means turning to other options, such as TiVo, Tablo, or Channel Master. The Xbox One is so close to cord-cutting perfection—especially if you’re already a gamer—and while it’s not quite there yet, at least it’s finally showing some respect. TV-tuner support brings the Xbox One so close to cord-cutting perfection—especially if you’re already a gamer—but it needs DVR support to get over the goal line.